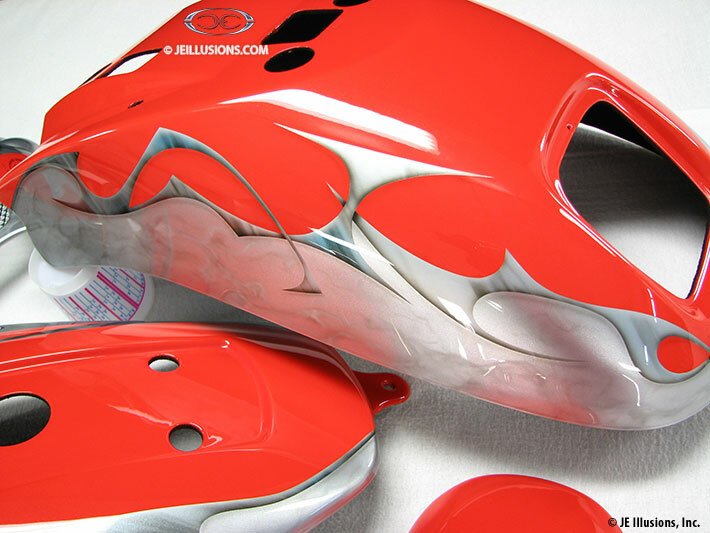 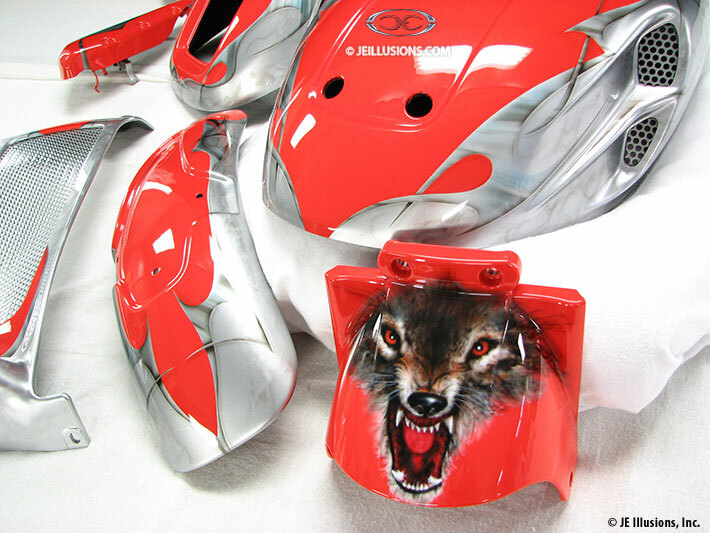 Wolf's head as main focal point, brings the high gloss metallic Silver and Ultra Orange alive on this paint job. 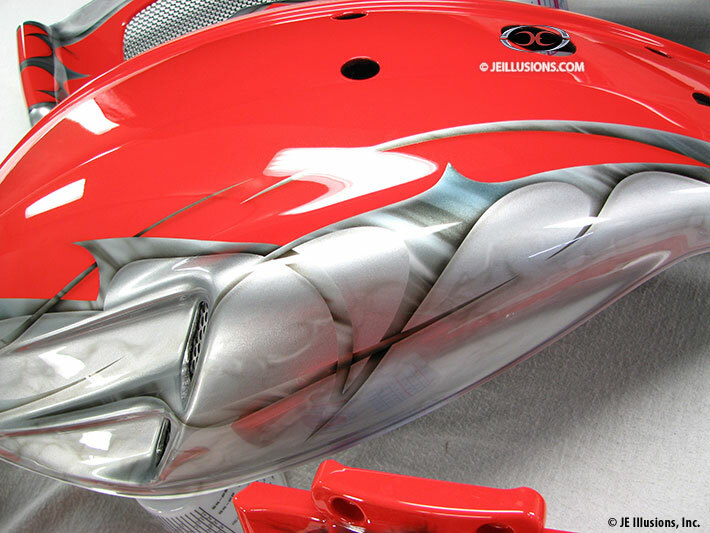 The Silver has an airbrushed marbling effect added to it, surrounded by a tribal blade design with air brushed metal effects. 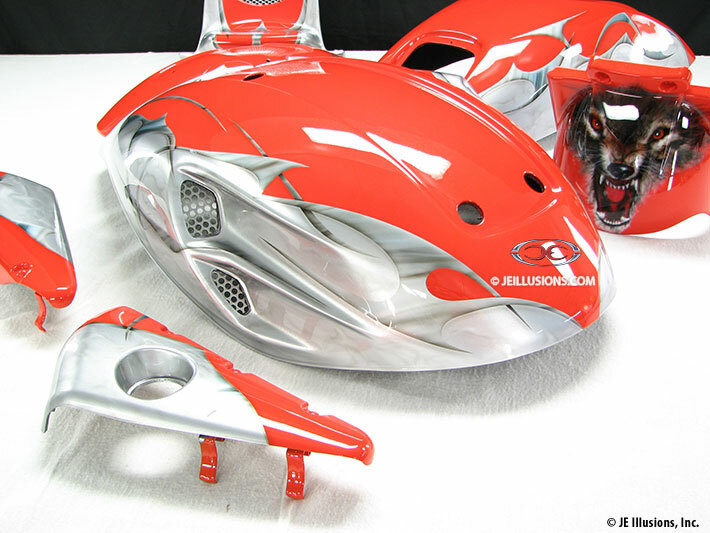 The blade design trims off the Orange and Silver.